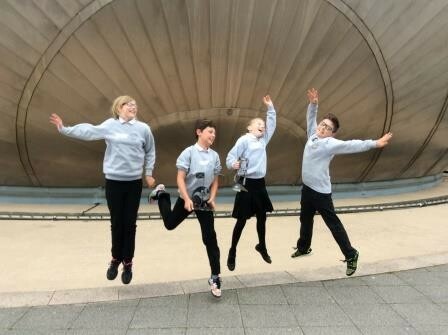 Last week Joe, Bronagh, Kaya and Murray traveled with Mrs Clark and Mrs Leask to Glasgow and Edinburgh to take part in the Celebration of Science and Engineering run by @scdiYESC at the Glasgow Science Centre. They were finalists in the Junior Saltire Awards with their Wave Islay design, made with help from Bronagh’s dad Gus, an excellent boat builder. 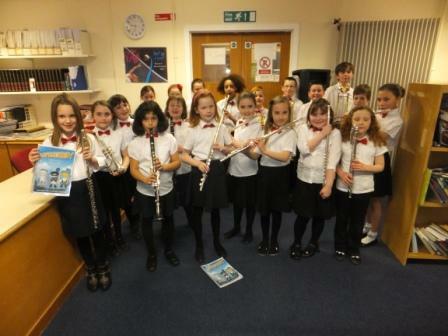 They tested their devices at the Flowave facility in Edinburgh along with 6 other primary schools and 5 secondary schools, before attending the event and presenting to the judges. 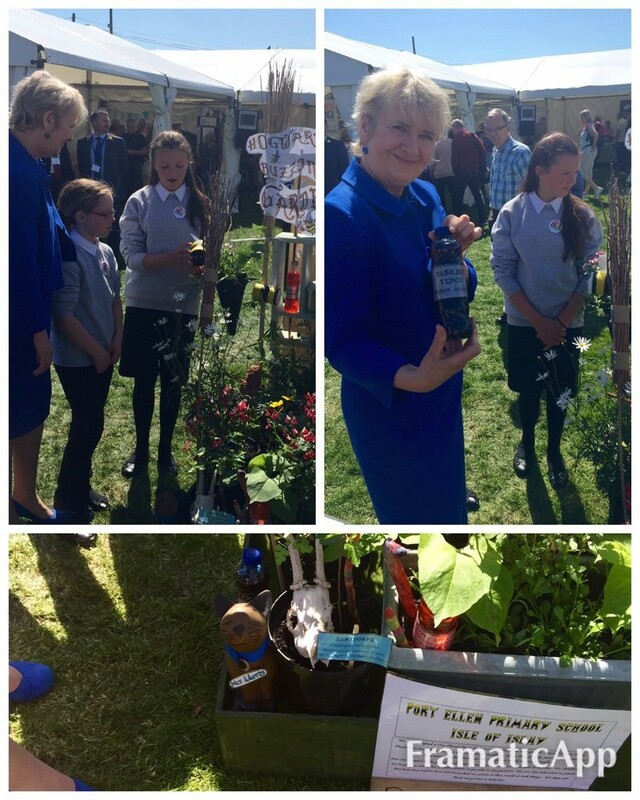 On Thursday 2nd June Mirren and Rebecca traveled to Edinburgh to set up their One Planet Picnic Pocket Pallet Garden after winning an Eco Schools Scotland garden design competition. When they arrived, they set up their Hogwarts Buzzing garden for the next morning when the show would be held. The garden was designed to attract bees. The Garden Show was held in Ingliston. They next morning Mirren and Rebecca and their families went to the show. There were lots of really good gardens from other sections and the section Mirren and Rebecca’s garden was in. They looked around all of the gardens and then they went back to theirs because a politician,Roseanna Cunningham, came to look at our garden and asked us questions about it. Then we got our picture taken by a photographer. After that we all went to look at other gardens and got ice-cream before we traveled back down the road to the ferry. 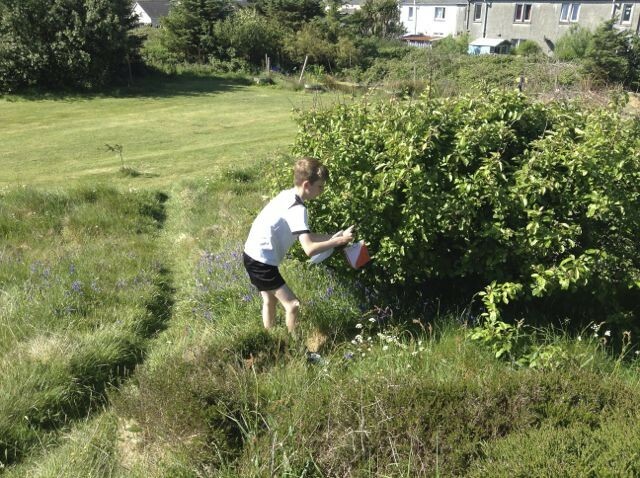 On Wednesday 1st June P3/4 and P5-7 children from Port Ellen Primary were joined by classes from Port Charlotte and Bowmore Primary Schools for a festival of orienteering organized by Lynne Walker of the Scottish Orienteering Association and Rona Young, the PE Development Officer from Argyll & Bute Council. 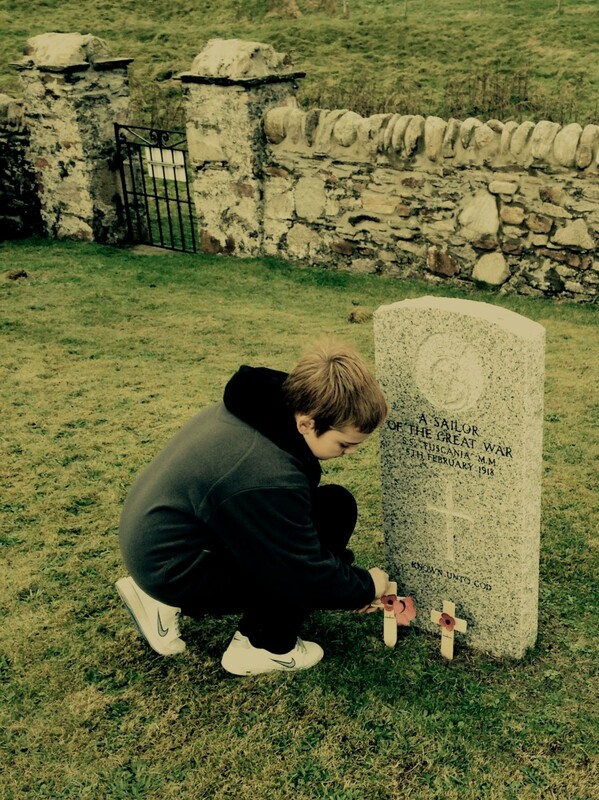 Both Kilniver and Port Ellen Primary School are through to the voting stage of the Scottish Legion story writing and photo competition. Schools who entered this competition investigated how the outbreak of World War One impacted on the families in their local communities and the effect that it had on the day-to-day lives around them. 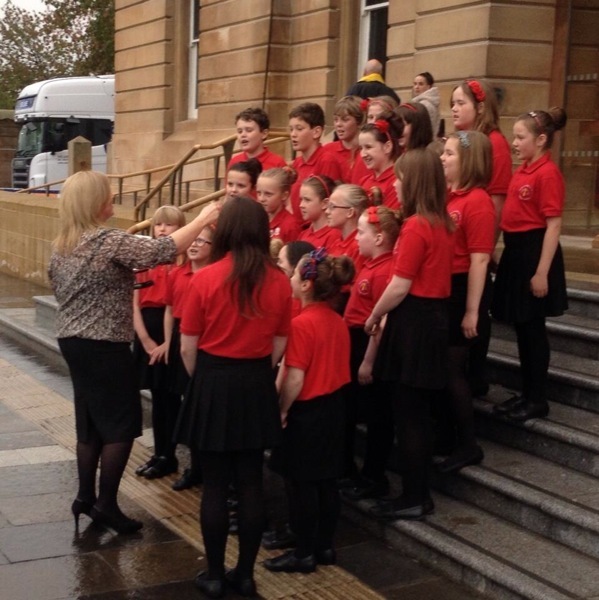 Ten children from the winning school will receive a unique VIP experience at the Royal Edinburgh Military Tattoo! 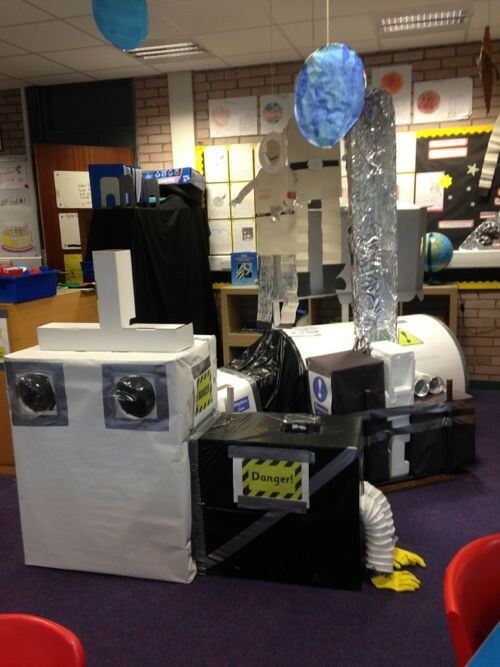 P1/2 at Port Ellen Primary School have been learning all about Space. They have found out about the Sun, Earth and Moon, taking turns at being a Moon Monitor. They watched video clips of Apollo 11 and Neil Armstrong’s moon landing and built their own rockets, complete with different stages. They have looked at the lunar landscape and have investigated how craters were formed using marbles and a tray of moon soil! 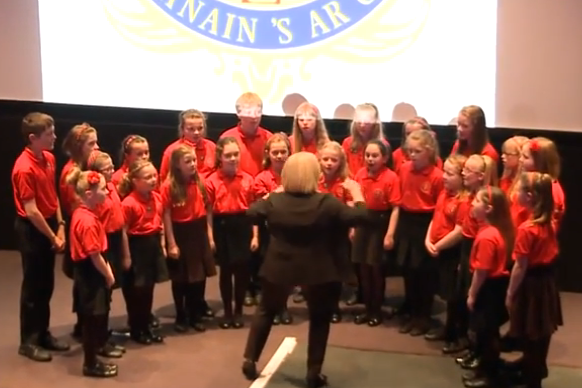 BBC features our 10 Pieces Music Project! 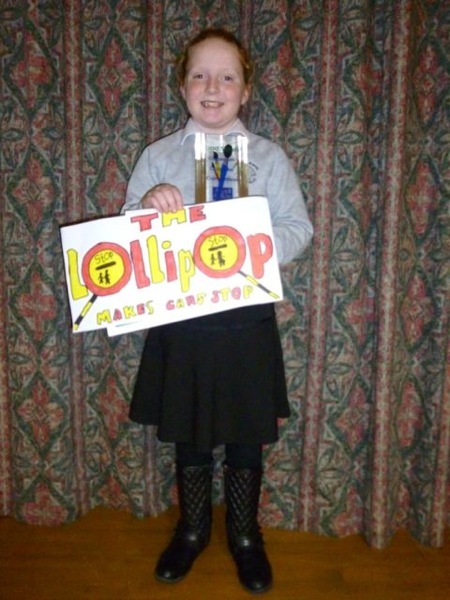 We were all very excited to hear that Annie in Primary 7 at Port Ellen was the overall winner of the Argyll and Bute Road Safety Calendar Competition for her entry ‘The Lollipop Makes Cars Stop!’. This was some achievement as there were over 1400 entries. 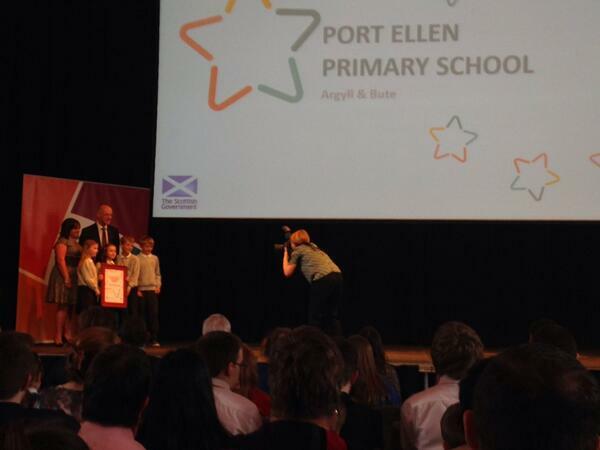 Her picture and slogan will now be made into calendars that will go out to all the schools in Argyll and Bute. Other winners included Braeden in P2 who came second in his age group, and Abbie, Sophie, Harmony and Charlet Rose who were highly commended. 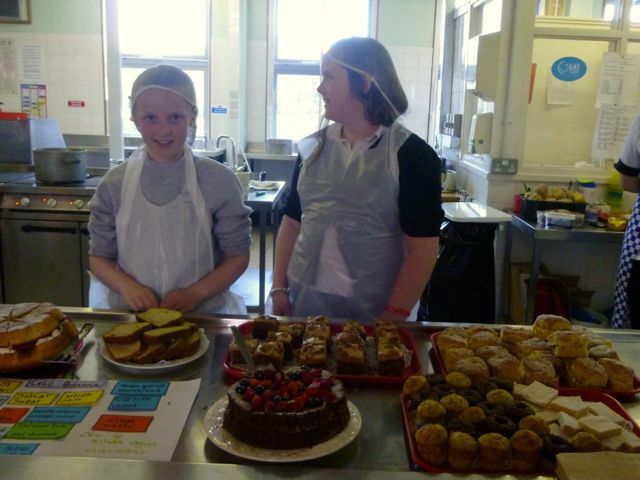 Well done all for doing so well! 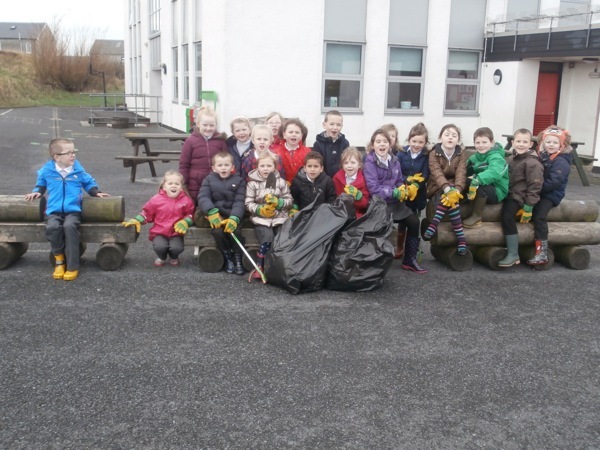 Port Ellen gains 5th green flag! Essay Success – What does ‘sustainable living’ mean to you? 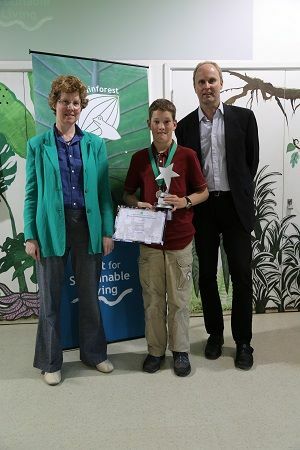 Each year the Trust for Sustainable Living organises a global essay competition, which this year invited schoolchildren to outline their ideas for sustainable living and the steps needed for societies to achieve them. This year 73 countries participated and essays were received from 1,094 children. We had several finalists from Port Ellen and in July Asher travelled down to Oxford to attend the international schools debate, which was attended by children from 23 countries. 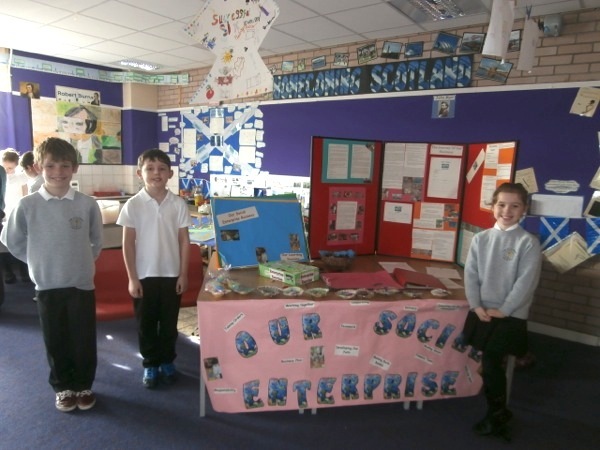 ‘Scent-Citizens’, a social enterprise business run by P4/5 in Port Ellen Primary School, has been presented with a Social Enterprise Academy Award by John Swinney, Cabinet Secretary for Finance, Employment and Sustainable Growth. 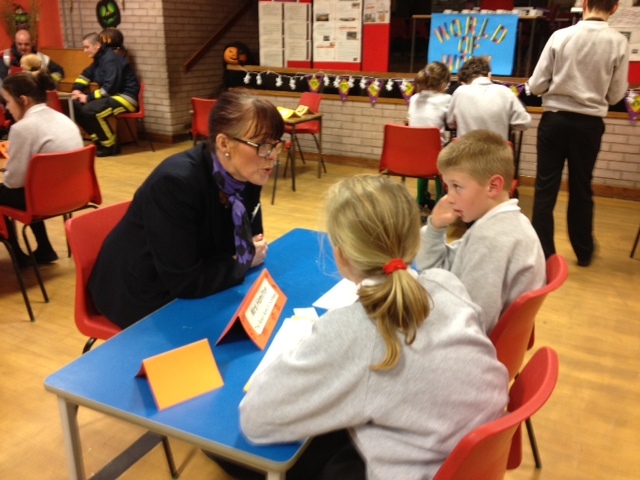 This week was finance week at Port Ellen and all the classes have been involved in learning about money, finishing in a finance fair on Friday Morning. Primary 1&2 have been learning about banks and spreadsheets, and have even started saving their money up for the summer holidays. They ran a bank at the exhibition and showed they could count change, and had even made their own piggy banks. 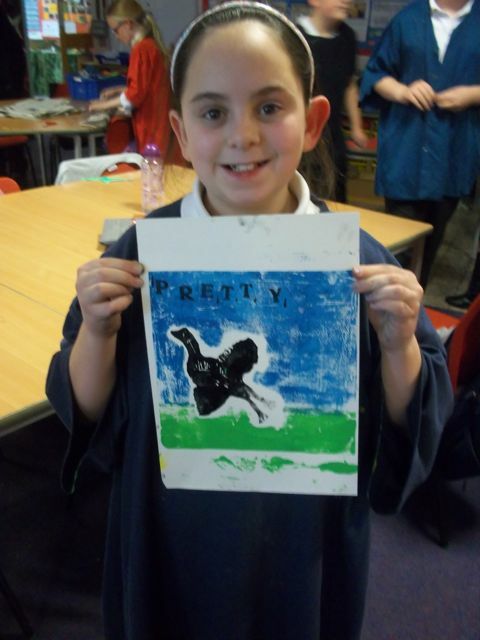 Primary 2&3 had made commonwealth animal banks, which included a wonderful anteater and Kiwi bank. 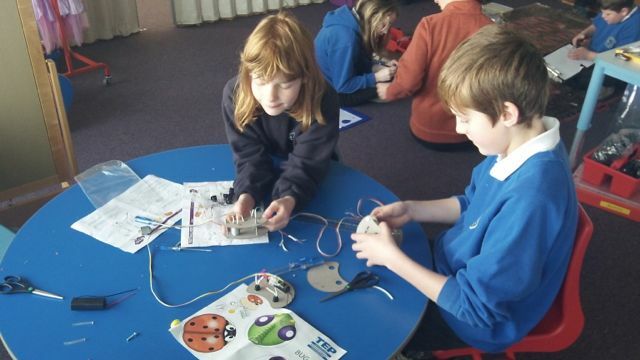 This term the P5-7 children in all the primary schools on Islay and Jura are learning about science and technology. We have been learning about electrical circuits, creating electronic devices, simple programming and discussing the links to real life technologies. 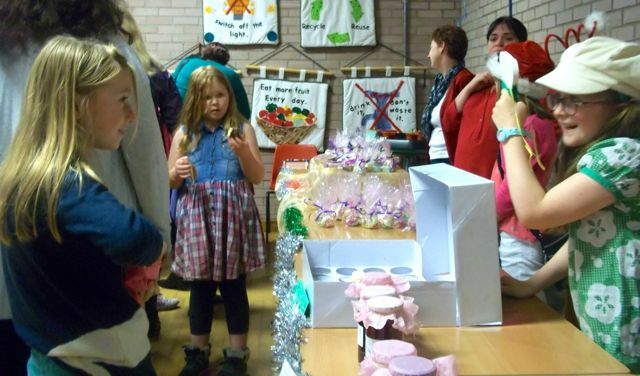 Port Ellen Primary hosted their annual Christmas fair on Saturday, a chance to have fun, meet friends, buy home made goods and meet Santa. Despite being in the middle of panto fever the school produced a great showing of goods and prizes for visiting friends and family. 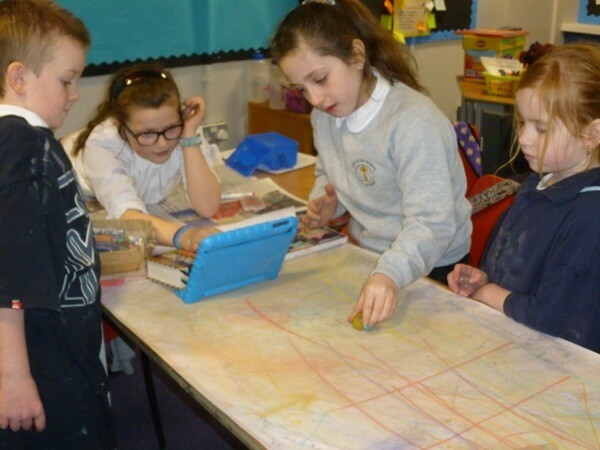 On Friday Primary 6&7 pupils at Port Ellen were visited by artist and teacher Phillipa Mitchell for an afternoon of geese and art. Islay is famous for its winter visitors, the barnacle geese, and Phillipa wanted to find out how the children felt about the geese. In the morning children debated in class the pros and cons of the geese visiting Islay: they are beautiful and attract birdwatchers and tourists, but they also destroy the grass and make life very difficult for farmers. Opinion was divided about what should be done about the 50,000 visitors the Island receives each year.